Learn how your hobbies and unique talents can brighten a person’s day. Share your interests and expertise with others by exploring some of the volunteer opportunities listed below. Opportunities may occur regularly or from time to time. Please check back frequently as our needs vary. For more information and to learn about volunteering at Pleasant View, contact our Volunteer Coordinator at 717-664-6288. Studies have shown that interactions with a pet lowers blood pressure, decreases anxiety, lessens depression and lifts spirits. 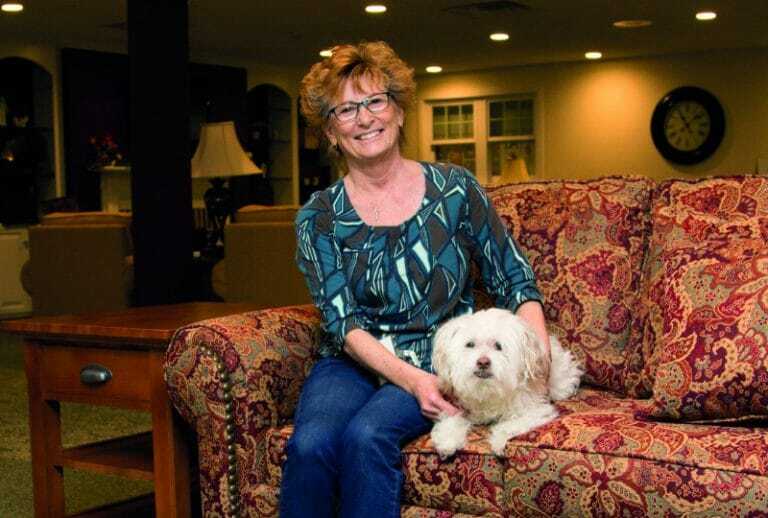 Pleasant View values the positive and caring energy pets bring to our campus and their impact in improving the quality of life for those living and working on our campus. Visitors must provide a current vaccination record. Provide support to our recreational and social programs by interacting with residents playing games, cards, puzzles, accompanying them to a party or creating crafts. A kind word, caring heart and a warm smile is all that is needed as you spend time visiting our Personal Care and Nursing Care residents. 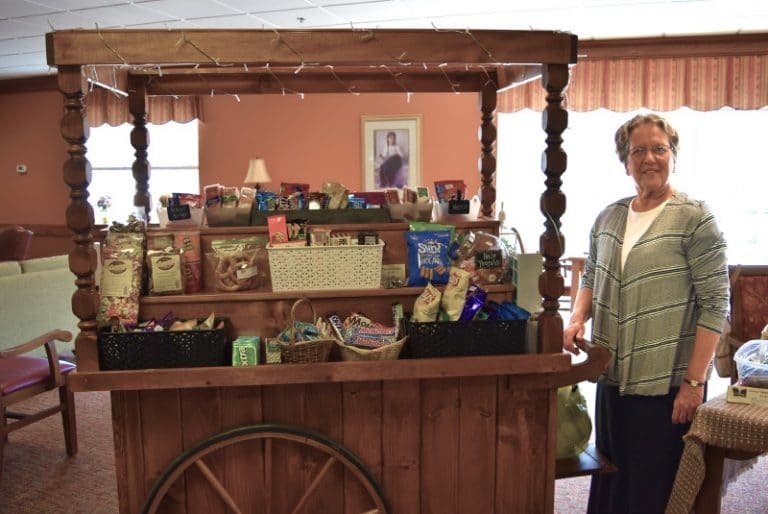 "Grace's Gift Cart" is a customized, mobile "store" featuring a variety of snacks, greeting cards, reading materials and personal items. Take the cart to various areas on campus and assist residents with finding the perfect item to meet their needs. Pleasant View welcomes musical talents of any kind that will bring joy to the residents at Pleasant View. Opportunities include leading sing-alongs for small groups of residents, performing as part of resident activities, or providing accompaniment for spiritual services. Be of assistance to residents in a wheelchair or help guide those using a walker to and from activities and appointments on campus. Offer prayer, scripture, and companionship to Pleasant View. Volunteers are also needed to lead daily devotions or bible study small groups, and assist with or provide music as a part of Spiritual Services. Esther’s Collectibles Thrift Boutique, located on the ground floor of the Town Square North building, carries gently used treasures including clothing, jewelry, and household items. Volunteers are needed with accepting donations, assisting customers, and completing sales transactions. Gain real world working experience alongside with Pleasant View staff members in order to satisfy community service project requirements.